Hello - I'm Jen DeLalio! I launched JKate Designs because I want to share my passion for stylish, comfortable, and highly functional spaces. I’m focused on projects in the Hamptons, and since starting this journey in 2004, I’ve completed a wide variety of projects with some of the most amazing clients. My ideal clients are respectful, kind, and appreciative of a designer who is honest and very organized. I take on a variety of project work ranging from full house renovations to single room makeovers to paint consultations to rental staging. Shopping for tile and planning the details of window treatments feels like torture for many, but I love it! And although budget management is not always the most fun component of a project, I handle it with precision and respect for my clients' finances. At the end of the day, we all want to come home to a space that reflects our personality and feels 'just right', and I'm proud to say that's the result I deliver.... and I love doing it! If you have any questions regarding my experience, services or approach to projects, please don't hesitate to reach out and ask.... I look forward to hearing from you! Interior Decorator of the Hamptons, working side by side with homeowners in Montauk, East Hampton, Bridgehampton, Sag Harbor, Southampton and many other locations within the tri-sate area. With multifaceted design experience within fashion, business, art and digital graphics, the Blue Ocean Design Team specializes in complete home furnishings, full or partial renovations, space planning, and architectural detail consulting. Southampton's Award-Winning Interior Designer | Best of Houzz! All aspects of interior design. Kitchen and bath design. Staging homes for sale. 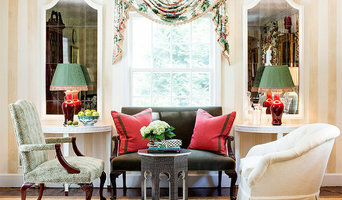 window treatments, paint colors, lighting . Sea Green Designs is an interior design business and home furnishings boutique inspired by the coastal lifestyle of the Hamptons. Started by Shannon Willey in, 2000, the business has become a favorite for coastal inspired interior design and home furnishings. As an interior designer, Ms. Willey pays careful attention to the details that make a house feel like a home and prides herself in project management, understanding that the many pieces of a project must be coordinated properly in order for a project to be successful. The home furnishings and accessories you’ll find in our Southampton store and their website are inspired by the coast and hand-picked for their elements of sustainability. Many pieces are available in custom sizes, finishes, and/or fabrics. You can learn more about Ms. Willey’s goal to change the world, one home at a time on her blog where she shares interior design inspiration, through projects and products, all chosen with elements of sustainability in mind. Mariana is an Interior Designer, having years of experience in the field, working with architects, contractors, and other professionals. 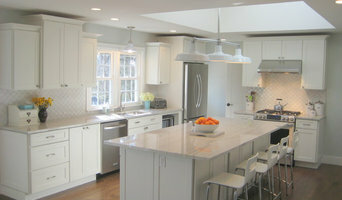 She specializes in interior spaces design, kitchen and bath design, and custom furniture. Speciality in Kitchen Design, Bathroom Design, Interior Design, Project Management Services, Furniture Selection, and Feng Shui Design. You can trust in Mariana with your home improvement dreams! Welcome to Amy Hill Designs we are a full service residential interior design firm located in Quogue, NY, servicing Manhattan and the Hamptons. From fabrics, furniture and floor plans to windows, walls and accessories, we work closely with you to create interiors specific to your lifestyle and taste. Balancing innovative ideas with practical execution is the key to creating a unique, comfortable home environment. We have the experience and passion to execute design plans with the care and attention you deserve. The Hamptons Innovative Interior Design Firm | Best of Houzz 2018! The Hamptons' Client-Oriented Interior Designer | Best of Houzz! A good home design professional will hone your style down to its very essence and be able to choose a functional layout that feels natural to you. Interior design companies can be involved as much or as little as the client desires. Many clients who hire an interior decorator in Water Mill, NY — particularly those who are remodeling — have a good sense of how the room should look and what products they should use. Often clients will insist that interior decorators use the products already present in the house. Other times a designer will need to start from scratch — especially if this is a newly purchased or just-built home. An interior design company will need to figure out exactly what the client needs, which includes organizing rooms, picking flooring and wall colors, and finding furniture to complement it all. Sometimes that means he or she will have to recruit help from other Water Mill, NY home professionals to help create the perfect look for your renovation. Here are some related professionals and vendors to complement the work of interior designers & decorators: Architects & Building Designers, General Contractors, Home Builders, Design-Build Firms, Photographers. Do your research before meeting with an interior designer or home decorator in Water Mill, NY. Ask yourself what you want your space to become and what it will be used for. Figure out the extent of what you need help with, what your must-haves are and what your budget is. Interior design services can add up fast, so be up front with a potential design firm or individual from the beginning. Also, pick an interior decorator that fits your style. Browse through the portfolios of different Water Mill interior design firms and decide if you would live in those houses. Just because you like something doesn’t mean you could live in it. There's a big difference! Find an interior designer or home decorator in Water Mill, NY on Houzz. Narrow your search in the Professionals section to find Water Mill interior designers near you. You can also look through Water Mill, NY photos to find a room you like, then contact the design firm who designed it.